In May of 2016, the Ama OluKai Foundation created a Giveback Village at the 8th Annual Ho‘olaule‘a at Kanaha Beach Park on the island of Maui where eight beneficiaries showcased their organizations to over 1,000 guests. The Ho‘olaule‘a features over 600 paddlers from around the world who gather to compete in the stand-up paddle and OC1 eight-mile downwind events. Over 600 paddlers from a dozen international countries competed against the best in the world for two days of stand-up and OC1 events. The Ama OluKai Foundation recognized the Polynesian Voyaging Society, Maui Cultural Lands, The Hawaiian Lifeguard Association, ‘Imiloa, Na Kalai Wa’a, Na Kama Kai, Huli and Papahana Kuaola for their outstanding contributions towards cultural preservation in Hawaii and were awarded plaques of appreciation and grants at the Ho’olaule’a event. The Maui Cultural Lands team shared their passion about archaeological education and restoration from their booth at the Giveback Village. Puanani and Duane accept their 2016 beneficiary award from the Foundation. Celeste Ha’o accepting the 2016 benficiary award on behalf of ‘Imiloa and the cultural roots of celestial navigation. Legendary Hokule’a crewmembers, Penny Martin and Snake Ah Hee share a moment at the Ho’olaule’a Giveback Village. As part of the Foundation Village experience, The Polynesian Voyaging Society presented a star compass chart made out of lahala mat and rocks to educate guests about the Hokule'a and the art of celestial navigation. Honoring two of the eight teams competing after the second leg of the 2016 Hawaiian Sailing Canoe Championships. Over one hundred guests, including OluKai staff, reps and retailers, joined in on our annual Giveback Day, hosted by our friends at Maui Cultural Lands. 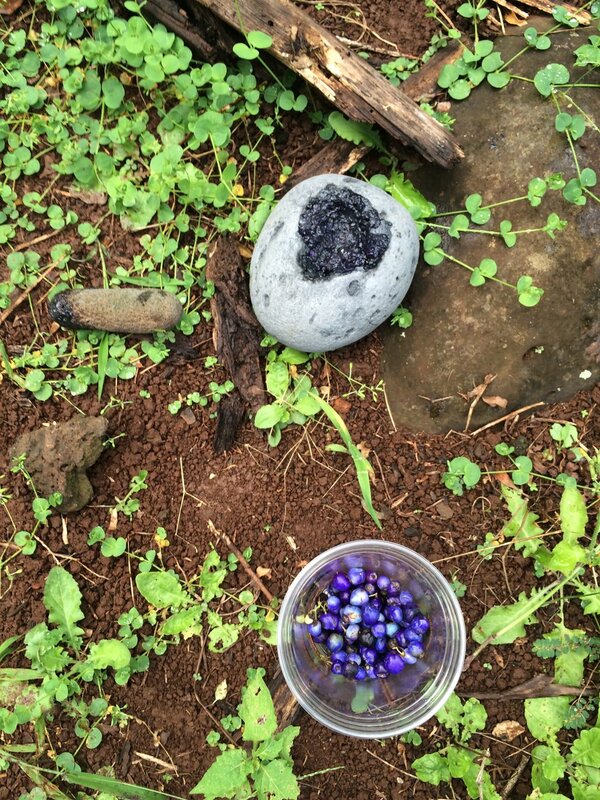 This year we enjoyed a mauka and makai day on the northwest side of Maui. Ekolu Lindsey assigning teams to their shuttles as the morning got underway. We were honored to have Maui Cultural Lands host our 2016 Giveback Day in the Honokowai Valley. 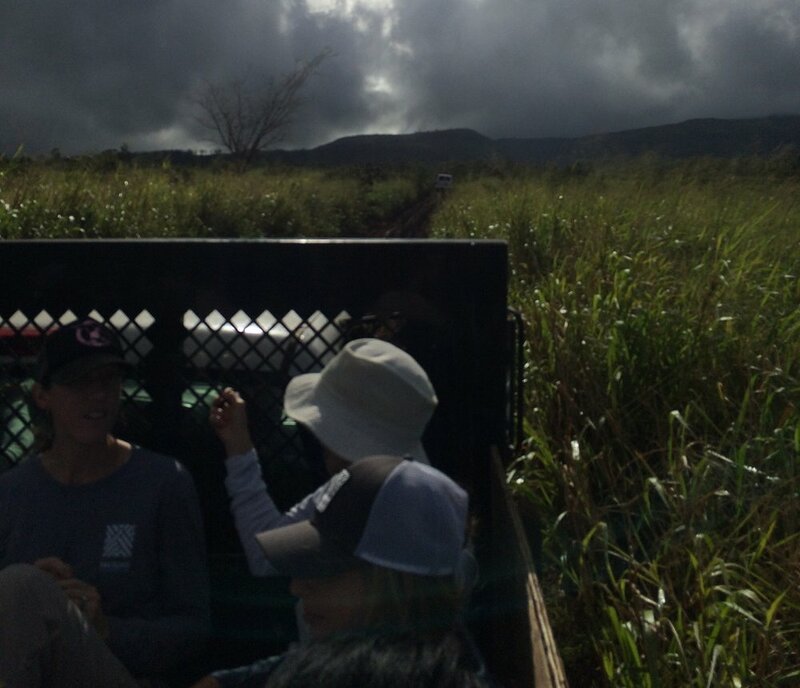 Giveback Day included the removal of invasive plants, while restoring and seeding indigenous species that have made the Honokowai Valley home over the centuries. Teams were divided into four groups (dressed in colors) and assigned specific stations during Giveback Day. As Kapuna Ed Lindsey taught us, “we don’t know what value these plants and berries hold from this valley. They may be of great medicinal value to mankind”. The Hawi’i Loa double-hulled sailing canoe traveled from Oahu and anchored offshore to offer guests the unique experience of being a crew member. As two of the original crew members of the 1976 Hokule’a trip to Tahiti, Penny Martin and Snake Ah Hee talk story about their experiences.